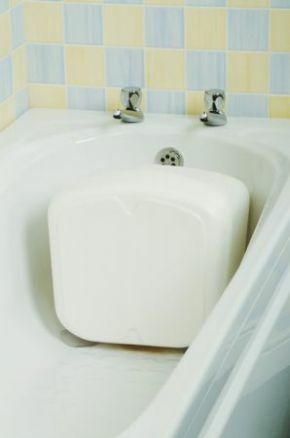 Bath Shortener Enables Shorter People To Bathe Safely. This bath shortener has been designed to enable shorter people to bathe in safety and comfort. Rubber suckers are fitted to attach the Bath Shortener to the foot of the bath to prevent it slipping. Does not interfere with water filling or draining.